What happens when zoo animals get their paws on an HTC RE? Selfies seem to be everywhere at the moment, so if you thought taking a trip to the zoo would give you a much needed break from self-obsessed beings relentlessly taking photos of themselves, then we have some bad news for you. 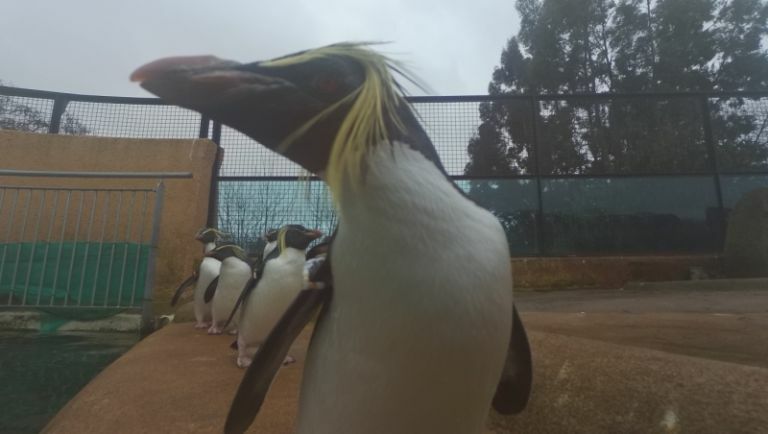 In an experiment that was part publicity stunt, part zookeepers being bored, animals at Edinburgh Zoo were given HTC RE cameras to see what happens. The HTC RE has a built-in sensor that activates the camera when picked up so the animals only need an inquisitive nature, and not a subscription to Digital Camera, to get started. Opposable thumbs are handy, but not necessary. So which animals were the most natural selfie snappers? One koala was particularly taken with the device. Let's see just how good those photographs were. Out of the many snaps this marsupial managed take, we feel it perfected the art of taking selfies with this photograph. The sly wink and poking out tongue hints at a cheeky sense of humour, mixed with a sultry “come hither and chow on this Eucalyptus leaf” sensibility. The scruffy, just got out of bed look is all the rage with hipsters, a style this Binturong positively embraces. The wide eyes and wide open smile suggests a right 'character' who'd be a lot of fun on a night out in Shoreditch. For a while. This horny beast looks a little nonplussed to be having its picture taken. Maybe it feels that selfies are beneath it, or maybe it's trying a little too hard to pretend that it doesn't care about getting its photo taken, but behind that façade it's revelling in the attention. I think we all know what's really going on in this photo. Ah the old 'stare off into the distance to make me look deep and thoughtful' selfie. It's an old one, but it's a good one, and the wallaby here is giving us a classic example. We can almost smell the halitosis from here.